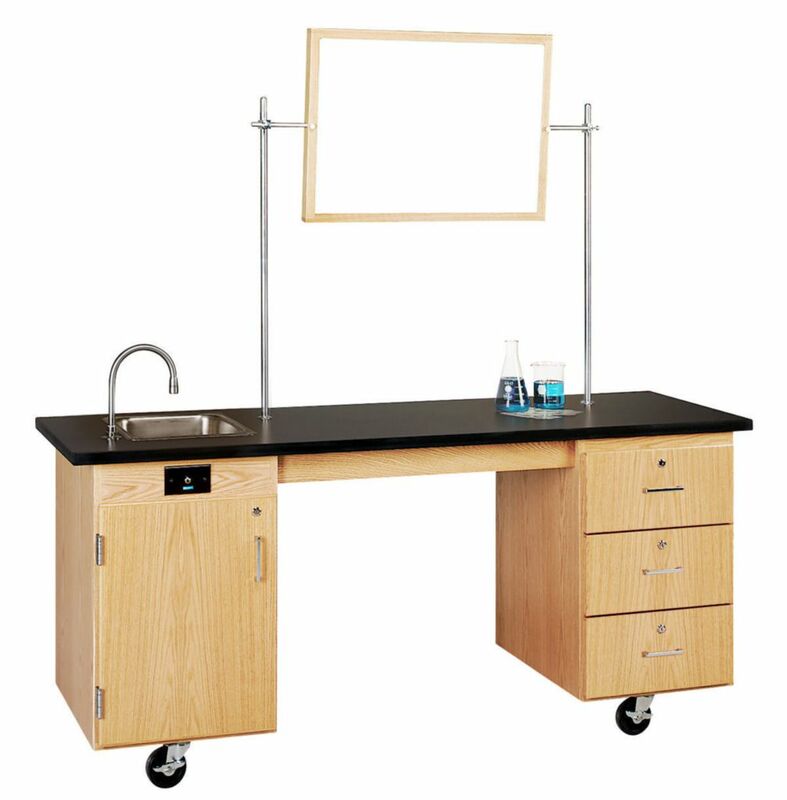 Designed as a workstation for the physically impaired, this unit can also be used for demonstrations. 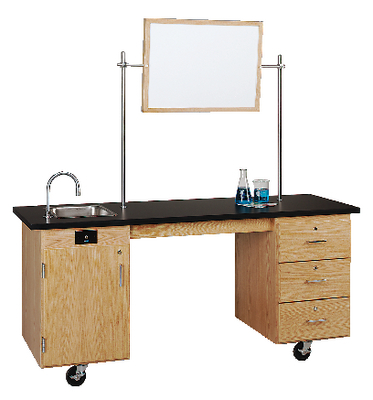 The Workstation can be accessed by a person in a wheelchair from either side. 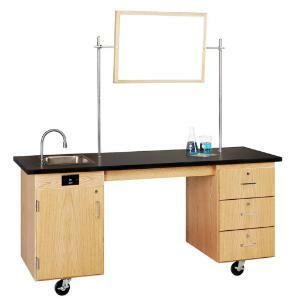 The work surface is made of ChemGuard® for chemical resistance. The table is supplied with three drawers and one equipment cabinet (all with locks). Accessories information: A markerboard is available separately. Ordering information: The unit includes a 25 ft. extension cord, a dual-GFI electrical receptacle, 4" heavy-duty locking swivel casters, two support rods, crossbar and clamps, and water pump.